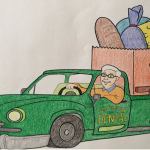 Just a quick note of thanks to all employed at Dalseth Family Dental. Everyone is so professional I feel like a King and I am getting the Royal treatment whenever I am there. Thank you for all you do for me!